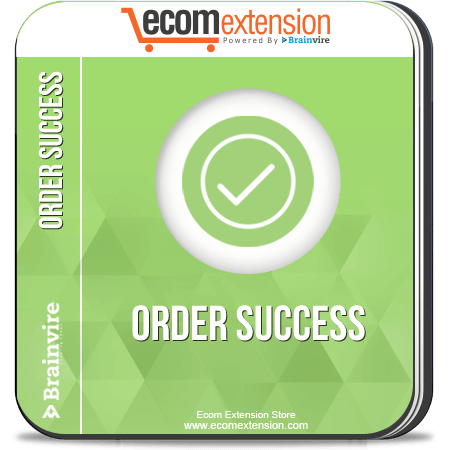 Magento Order Success extension provides you an opportunity to get all the order related information on the check out page instead of only the ‘Thank you for placing order’-like messages. This easy-to-install extension enables you to view all your order details on the check out success page. Normally, once you place an order, you get a message like “Your order has been placed, thank you!” or something like that. However, it would be great if you get the order details on the same page, but Magento does not do the same. 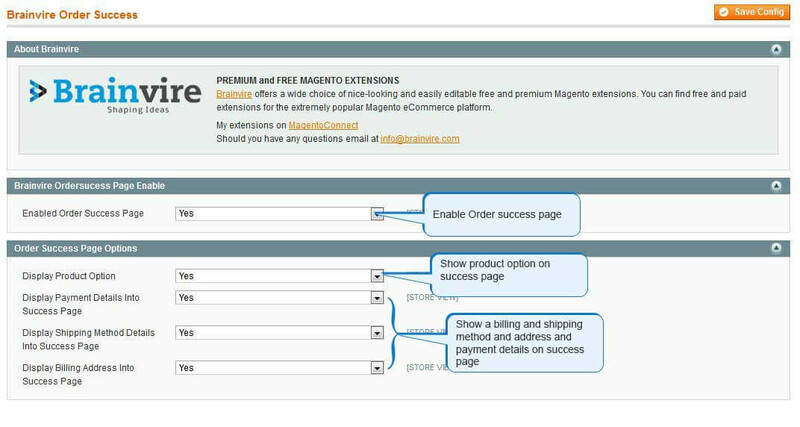 This led into the development of Order Success extension for Magento. The Order Success extension lets you display all the details of the order on the check out page itself instead of displaying only the order confirmation messages and 'continue shopping' buttons. It lets you display the billing address, shipping address, item ordered as well as the bill amount on the checkout success page. Meets Magento guidelines and in line with the standard work flow. 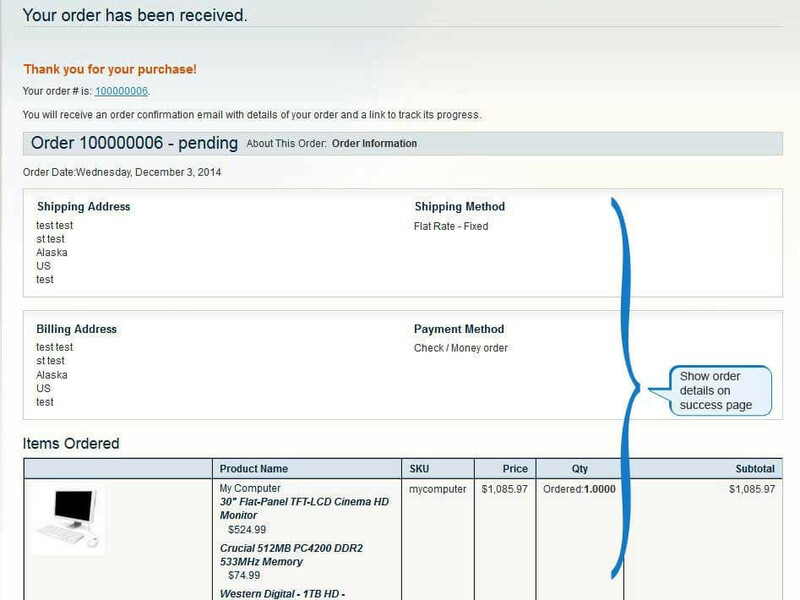 Displays billing and shipping address as well as shipping and payment method on the check out success page. Show items ordered and the entire billing table on the checkout success page along with the price, quantity and the total amount.